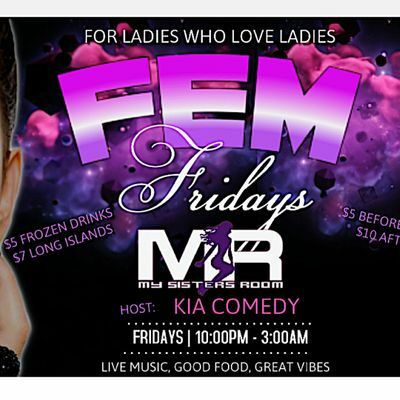 It's Fem Fridays at MSR Lesbian Bar! Everyone knows MSR is Atlanta's premier place to be for Ladies who love Ladies! 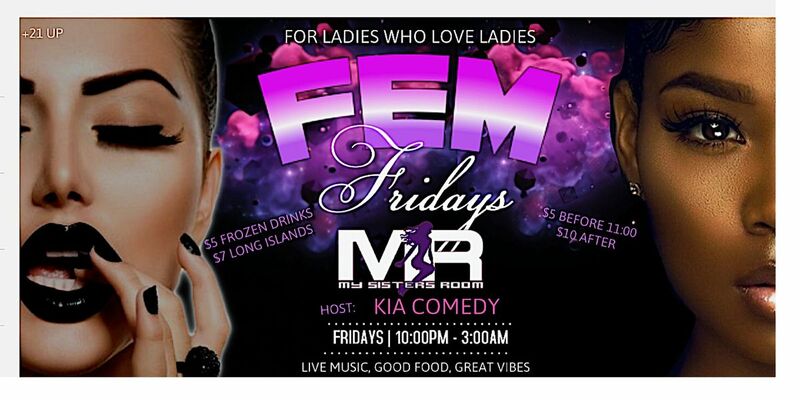 Don't miss Fem Fridays, the hottest LGBTQ Dance Party and Drag Shows in the city! We'll have Atlanta's hottest DJ's, food, and drinks, and it's all hosted by Kia Comedy! Mark your calendars! You won't want to miss this event! It's only $5 before 11pm, with $6 well drinks and $7 Margaritas, and the kitchen is open! Meet me in Midtown, where it all goes down, each and every Friday night at MSR Lesbian Bar!